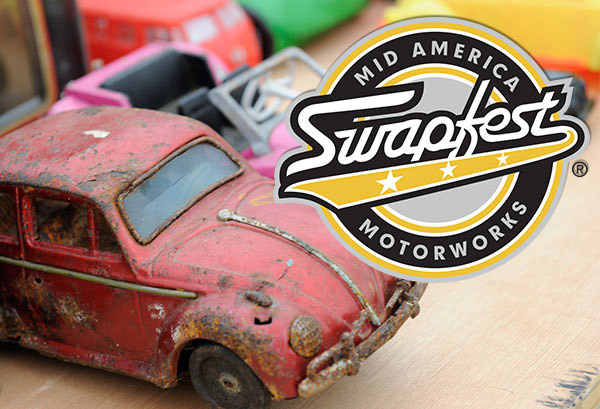 Swapfest is a unique opportunity for automotive enthusiasts to explore thousands of parts, as well as buy, sell and swap with other collectors. Hosted on our corporate campus in Effingham, Ill., Swapfest allows enthusiasts to look for bargains using a hands-on approach. Swapfest allows you to see the automotive parts, accessories and memorabilia first-hand. Swapfest features parts and accessories for a variety of vehicles, including Chevrolet, Ford, Hot Rods, Street Rods and Muscle Cars, with a special emphasis on Corvette and Air-Cooled Volkswagen. There will also be a Cars for Sale Corral, allowing attendees to register and sell their vehicles, making room in the garage for new toys. While collectors are able to find great bargains at Swapfest, that is not the only draw to the event. Sellers get a 20' x 20' space to sell, trade or swap their automotive parts, accessories and memorabilia. Only private sellers and all items offered must be automotive-related. Open to all brands - Chevrolet, Ford, Mopar, Hot Rods, Street Rods, Muscle Cars, and of course Corvettes and Classic Volkswagens.